1. Fleece Pullover - Doesn't this pullover look like the softest thing ever?! I'm obsessed with wearing pullovers in colder weather. This one is currently on sale and just got back in stock in most sizes. I highly recommend scooping this up before it sells out! 2. Facial Roller - This product is so cool! I've read a ton of reviews about how well this works for puffiness and wrinkles. There are even studies that show how good this product is for you. I haven't tried it yet but will be picking one up soon! I really love that this one is rose quartz. 3. Bright Eyes Set - This product has amazing reviews! I'm always on the hunt for a product that will help with under eye circles and darkness. 4. Plush Throw - Who doesn't love receiving a soft blanket as a gift? Seriously, I always look forward to getting throws for Christmas. This one is on sale and comes in SO many colors! There is one for every style and to match any home decor. 5. T3 Whirl Trio Wand - My all-time favorite curling wand ever!! Isaac got me this set last year for Christmas and I've used it nonstop since then. This is the only curling wand that actually keeps my curls for days! 6. Makeup Mirror - This has to be the cutest vanity mirror I've ever seen! I love that it has lights on it and that it comes with a tiny magnification mirror. 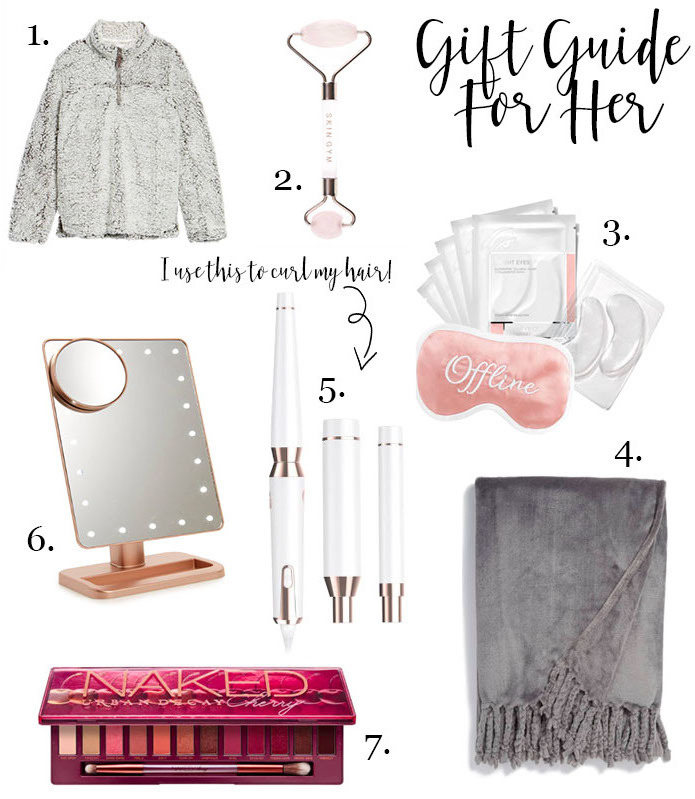 This is the perfect gift for any girl obsessed with makeup. 7. Naked Cherry Palette - I love all naked pallets so as soon as I saw this one I knew it had to be on my wish list. I love the range in this palette and feel like I would get use out of every shade. I will be adding more items below as we get closer to Christmas so keep checking back for updates!